Our staff at Medifocus is committed to keeping our subscribers to the Medifocus Digest Alert on Lymphedema abreast of the latest new research developments that have recently been published in the medical literature for this condition. In this issue of the Digest Alert, you will find a focused list of hand-picked journal article references that represent the latest advances in basic and clinical research for Lymphedema. These articles represent the current state-of-the-art of the research that will hopefully lead to additional major advances and breakthroughs in the clinical management of Lymphedema. You can access the summaries of each article referenced below by simply clicking on the article Title. We will continue to update you with the latest scientific and clinical developments through the Medifocus Digest Alert on Lymphedema every 3 months. Thank you for your ongoing subscription to this publication. 1: Comprehensive multimodal surgical treatment of end-stage lower extremity lymphedema with toe management: The combined Charles,' Homan's, and vascularized lymph node transfer (CHAHOVA) procedures. Institution: Department of Plastic and Burn Surgery, Arzobispo Loayza National Hospital, Lima, Peru. Peru (INEN), Lima, Peru. Hospital, Taichung, Taiwan. Augusta, Georgia. Minnesota. Minnesota. Hospital, Taichung, Taiwan. Hospital, Taichung, Taiwan. Hospital, Taichung, Taiwan. Peru (INEN), Lima, Peru. Hospital, Taichung, Taiwan. Journal: J Surg Oncol. 2019 Mar;119(4):430-438. doi: 10.1002/jso.25356. Epub 2019 Jan 6. 2: Combined double vascularized lymph node transfers and modified radical reduction with preservation of perforators for advanced stages of lymphedema. Institution: Department of Plastic and Burn Surgery, Arzobispo Loayza National Hospital, Lima, Peru. Peru (INEN), Lima, Peru. Taichung, Taiwan. Minnesota. Minnesota. Minnesota. Augusta, Georgia. Taichung, Taiwan. Taichung, Taiwan. Miller School of Medicine, Miami, Florida. Taichung, Taiwan. Journal: J Surg Oncol. 2019 Mar;119(4):439-448. doi: 10.1002/jso.25360. Epub 2019 Jan 4. 3: Risk factors for lymphatic complications following lymphadenectomy in patients with cervical cancer. Institution: Department of Obstetrics and Gynecology, Faculty of Medicine, Kagoshima University, Sakuragaoka 8-35-1, Kagoshima, Japan. Journal: Jpn J Clin Oncol. 2018 Dec 1;48(12):1036-1040. doi: 10.1093/jjco/hyy151. 4: Treatment of gynaecological cancer related lower limb lymphoedema with liposuction. Institution: Department of Plastic Surgery, Ninewells Hospital, James Arrott Drive, Dundee DD1 9SY, United Kingdom. Electronic address: Paulinemcgee@nhs.net. James Arrott Drive, Dundee DD2 9SY, United Kingdom. Electronic address: alex.munnoch@nhs.net. Journal: Gynecol Oncol. 2018 Dec;151(3):460-465. doi: 10.1016/j.ygyno.2018.09.029. Epub 2018 Oct 5. 5: A Systematic Review of the Outcomes Used to Assess Upper Body Lymphedema. Institution: a Faculty of Health Sciences , University of Sydney , Sydeny , Australia. Australia. , Sydney , Australia. Journal: Cancer Invest. 2018;36(8):458-473. doi: 10.1080/07357907.2018.1517362. Epub 2018 Oct 5. 6: Information-seeking, information sources and ongoing support needs after discharge to prevent cancer-related lymphoedema. Institution: Division of Cancer Survivorship Research, Center for Cancer Control and Information Services, National Cancer Center, Tokyo. Information Services, National Cancer Center, Tokyo. Journal: Jpn J Clin Oncol. 2018 Nov 1;48(11):974-981. doi: 10.1093/jjco/hyy127. 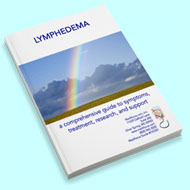 7: Lymph node transplantation for the treatment of lymphedema. Institution: Division of Plastic and Reconstructive Surgery, University of Southern California, California. Sloan-Kettering Cancer Center, New York. Washington. Journal: J Surg Oncol. 2018 Oct;118(5):736-742. doi: 10.1002/jso.25180. Epub 2018 Aug 21. Institution: Division of Plastic and Reconstructive Surgery, Beth Israel Deaconess Medical Center, Harvard Medical School, Boston, Massachusetts. Journal: J Surg Oncol. 2018 Oct;118(5):750-757. doi: 10.1002/jso.25177. Epub 2018 Aug 16. 9: Lymphovenous bypass for the treatment of lymphedema. Institution: Section of Plastic and Reconstructive Surgery, Department of Surgery, The University of Chicago Medicine & Biological Sciences, Chicago, Illinois. Journal: J Surg Oncol. 2018 Oct;118(5):743-749. doi: 10.1002/jso.25166. Epub 2018 Aug 11.